Northeast Neighbors United is a group of involved citizens in the Northeast section of the City of Lancaster, PA. We try to improve the quality of life in our neighborhood by becoming informed citizens who take an active role in our community. Northeast Neighbors United hosts special events throughout the year, including mixers, game nights, town hall meetings, and National Night Out. We are known in the neighborhood for our efforts to make our neighborhood a greener and cleaner place to live, work and play. We represent about 3,300 households. Our neighborhood is bordered by Lancaster General Health, the SDoL McCaskey Campus and Urban Place (a hip 300,000 square foot community made for living, learning, working, shopping and dining). Our neighborhood has it all. Many people who live in the community also work here. We are within walking distance of the Amtrak Train Station and Downtown Lancaster. This neighborhood is positioned to be enhanced through greater homeownership, increased neighborhood communication and advocacy, and opportunities for commercial growth and beautification as the Downtown expands and the demand for authentic urban living is increasing. As our partner, the Lancaster City Alliance, expands their outreach through the #BuildingonStrength campaign, we expect great things for our neighborhood and along the New Holland Avenue/East Walnut Street corridors. 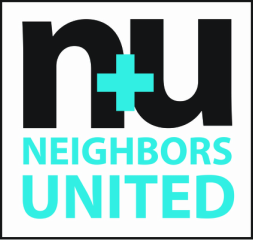 Northeast Neighbors United is all about supporting your initiatives, connecting you to neighbors and services, and advocating for your concerns and hopes. We are decentralized, so rather than top down initiatives, we think that community organizing does better with neighbors sharing ideas with each other as the first step in creating change for the Northeast. To accomplish this we want to try something new. We created linked groups attached to this community that you can join. These are incubators for ideas, think tanks where you can collaborate with like minded neighbors. Our board members and the committees they lead are for those ready to take deeper dives & make ideas into reality. As ideas take shape we as an organization can support them and we can be successful in accomplishing our goals! Heather Brickner leads the EDUCATION COMMITTEE. She lives on Park Ave. with her husband, Micah, & their son, Lucas. You can find them at 6th Ward Park or Musser Park, Central Market, or barbecuing. Micah and Heather enjoy barbecue so much they started the Lanc BBQ Club . Jill Broderic and her husband, David, moved to East James Street in the winter of 2018. They have 2 children, Katharine (23) who lives on East Orange St., and Max (20), a student at the University of Pittsburgh. Jill has taught English at Palmyra Area High School for the past 25 years. help improve the quality of life for everyone here in the Northeast. Phil Cabassa leads the CLEAN & GREEN COMMITTEE. He lives on E. Frederick St. with his wife Christine & their 2 dogs, 2 cats & too many plants. They love experiencing all of the culture that Lancaster has to offer and in particular the Northeast. ​To Phil, the Northeast reminds him of Queens, New York where he was born and spent the first part of his life, because of the strong residential focus and diverse mix of people sharing walls and streets, working towards a better life. This sense of community has been his catalyst for social and community effort with an eye always towards equity and sustainability. A Social Studies Education graduate of Millersville University, Phil is an Inventory and Quality Control specialist at Creek Hill Nursery in Leola and also serves as Secretary on the Lancaster Parking Authority board. Carl Feldman lives on Reynolds Ave. and chairs the Communications committee. He is a member of Congregation Shaarai Shomayim with his wife Carli. ​He can be found walking his dog around 6th Ward Park most days or early in the morning riding his bike to the Lancaster Amtrak station where he commutes to work at the Pennsylvania Department of Human Services. Carl enjoys the strong civic culture that Lancaster provides and talking with his neighbors about whats going on around town. Tim Freund lives next to Triangle Park with Kate and their adopted dogs. They moved to Lancaster 6 years ago and have embraced the city as their home. They found the dense design of Lancaster makes for strong connections compared to the car centered sprawl of Midwestern cities. If you've spent time in or around Lancaster Cemetery you've likely seen Tim volunteering. We're lucky to have a 22 acre historic green space in our neighborhood, and together we can make it a gem of the city. ​Tim studied computer science, math, and sociology. He's a jack of all trades software engineer and currently working as the Site Reliability Manager for WebstaurantStore in Lititz. He probably can't fix your printer, but he can write code and teach you to do the same. His opinions on neighborhood development are heavily influenced by the work of Jane Jacobs, and he's willing to walk almost anywhere in the city if it means he can avoid parallel parking. Rodney Upsher (right) lives on the 700 block of North Shippen Street with his wife Karen. Rodney is known in his community for his commitment to making the neighborhood a cleaner and safer place to live. He adopted a block for litter clean-up and can be found helping his neighbors with odd jobs. Both Rodney and Karen are regulars at the National Night Block Party. Sharon Watson recently joined the Neighbors United Board. "I proudly serve on the Northeast Neighbors United Board - working toward a model neighborhood that embraces diversity, protects green spaces and nurtures neighbor-to-neighbor relationships while achieving city quality of life for families, young professionals and children."